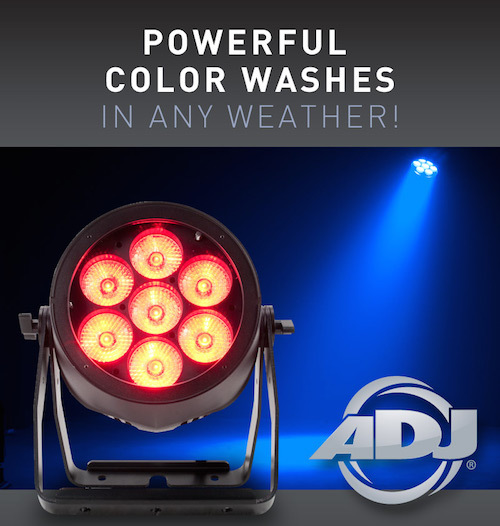 The 7PZ IP is a heavy duty, metal IP65 outdoor rated LED Par with motorized zoom and ADJ's WiFLY EXR wireless DMX built-in. 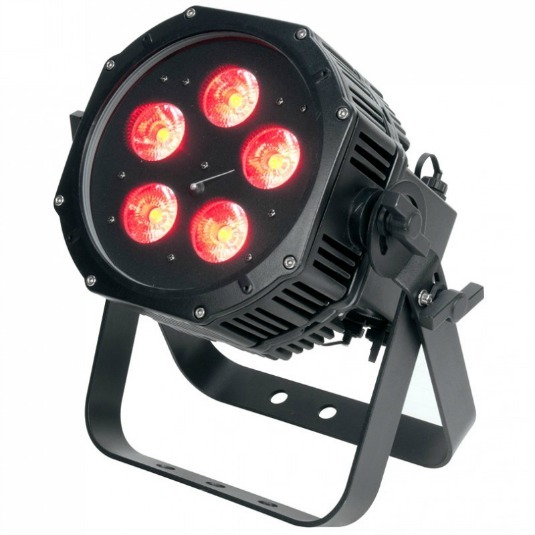 It features seven 15W quad (4-IN-1 RGBW) LEDs with 64 built-in color macros. 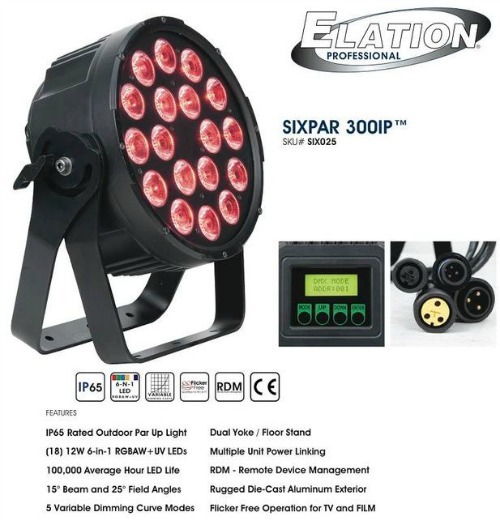 There are 5 dimming curves plus smooth 0-100% electronic dimming. 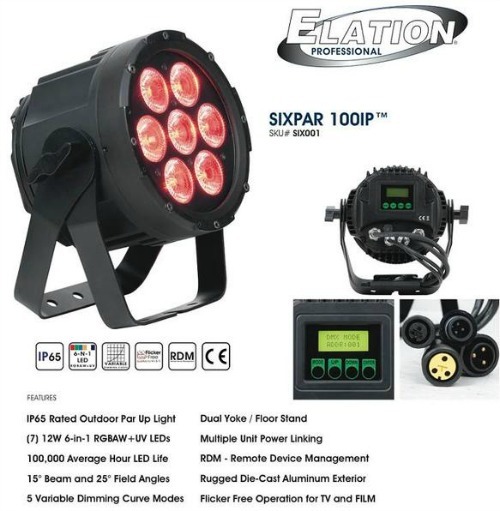 With 5 operational modes, 4 DMX channels modes and 4-button menu with function display, the 7PZ IP has a varied of control options. 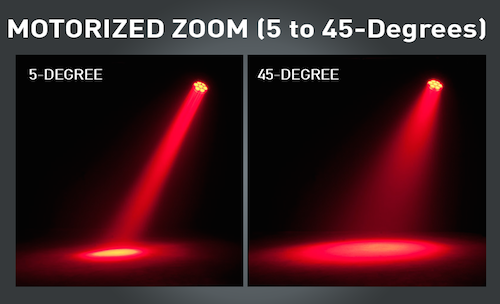 The zoom range is 5 ~ 50-degrees.